Did you know that pruning tree in your garden helps them to grow healthy and be more productive? The spring in Sydney has already started and every street looks amazing, don’t stay behind. By cutting off dead limbs will give your tree a totally new look. Basically, it’s like a haircut for a tree and enhances its shape. The rule applies especially to tree that you planted for a clearly aesthetic reason. If there are some trees that can’t stay there any longer. Don’t do it yourself and contact tree removal services. 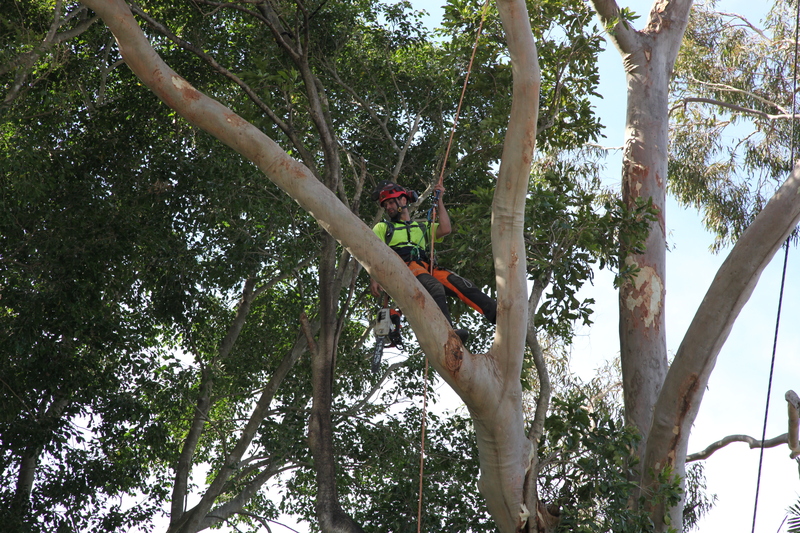 Every tree in your yard will be able to withstand hot Sydney summer and bad storms after it’s been pruned. When professional tree services use the proper technique. Tree trimming has even the ability to make the roots stronger, which ultimately makes the tree healthier. In addition, trimming helps the new branches grow. The trees that are able to grow fruit, always benefit from pruning. Cutting off dead limbs is very beneficial as protects them from insect infestation and disease. It also helps to grow spurs, which produce the fruit following year. For this sort of a job, the best idea is to hire tree services or tree removal company in Sydney. Dead branches fall easily during storms and on windy days. They are actually dangerous even on good sunny days. Moreover, cracks in the tree and poor root growth can be a cause of safety issues. Trees are like human beings in many ways, so they also contract diseases. Thanks to trimming, the disease can be treated and prevented from spreading. Vista pruning is a term that describes a type of trimming used to enhance the view of the natural structure. Hiring someone for vista pruning entails tree removal that blocks the view of naturally occurring splendors. Can’t be bothered with trimming your trees yourself? Contact Bradshaw Tree Services NOW!